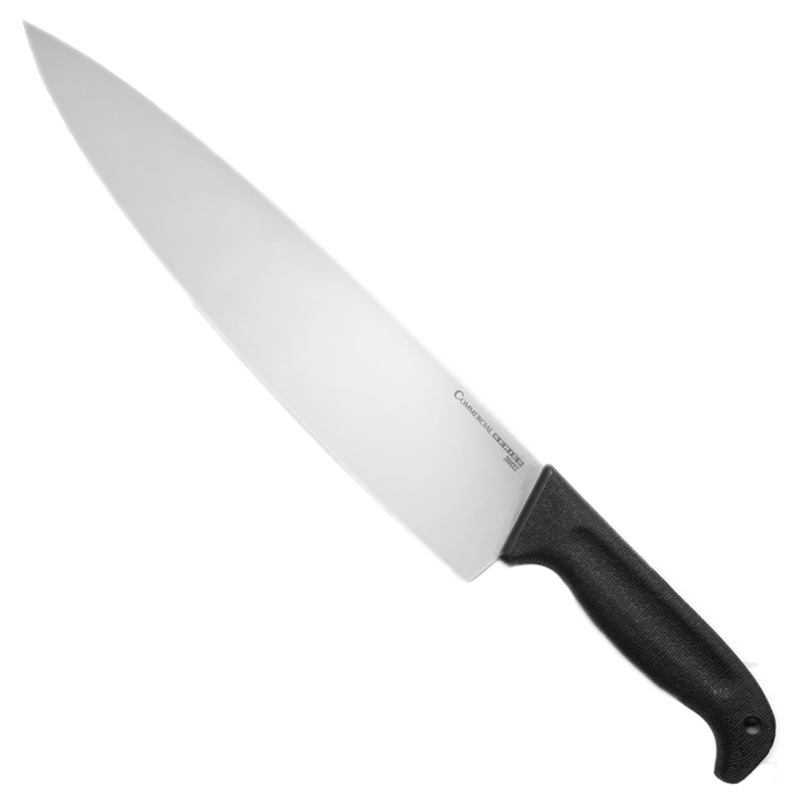 The Chef’s Knife from Cold Steel’s Commercial Series has a highly versatile drop point blade designed for detailed cutting tasks and multi-purpose kitchen use. 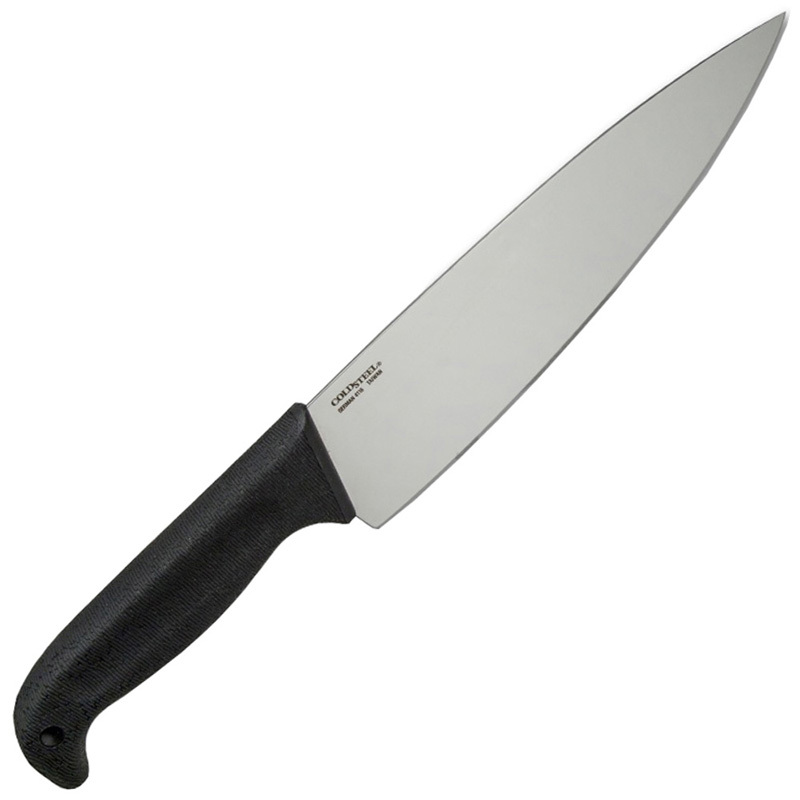 Each knife from this series is made from razor sharp cryo-quenched German 4116 Steel, for ease of re-sharpening at work or in the field. Their handles feature a stiff Zy-Ex core on the inside for durability, with a softer, food-safe Kray-Ex exterior providing a comfortable non-slip grip for hours of use. From slaughterhouses and butchers, commercial kitchens and chefs to hunters and fishermen, there are blades for everyone!